This book was tragic and well written. There is foreshadowing throughout the book. It makes you question your morals and what your really believe. It makes you mad, sad, happy and many other emotions. This book is not a happy book however, so do not read if you are sensitive. Learned a lot about OI. I had never heard of this desease. Not sure if I would ever sue someone especially my best friend. She ended up with no friends at all. Not sure if it was worth it. 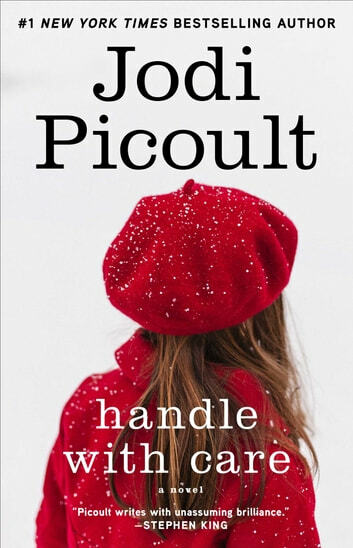 Jodi Picoult has an amazing ability, a gift really, to describe the emotions, feelings, doubts, and self-talk of people in various circumstances that you hope you will never have to face personally. One can hardly say it was an enJOYable read but it was one I would not have wanted to miss. It helps one to realize that it is always wise to realize that There is more than one way to look at every circumstance and more than one price to pay for difficult choices. And sometimes our toughest choices end up being for nought. Thank you, Jodi, for teaching us. Just like my love of Jodi Picoult's other books, this is a great read. It can be a bit slow at times but is well written and an amazing story. I thought the book was written with love and devotion. The powerful story draws you in and you are instantly drawn to a mother's fierce loyalty. Her friendship, her daughters, her husband, are all subjected to the journey she has chosen. This was an amazing story.